Mouawad crafted from the rough the 54.21 Carat ‘Mouawad Dragon' Diamond - the largest round brilliant vivid yellow diamond in the world. 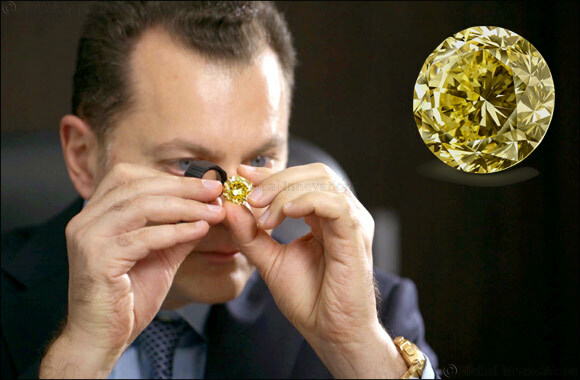 January 28, 2019: Mouawad has just completed the crafting of a yellow rough yielding an extraordinary polished 54.21 carat round brilliant cut, fancy vivid yellow, the largest ever graded to date by the Gemological Institute of America. The diamond was birthed the Mouawad Dragon as its color is reminiscent of the Dragon’s magical powers and fiery eye.